Hello, dear artists and Mortal Kombat fans! 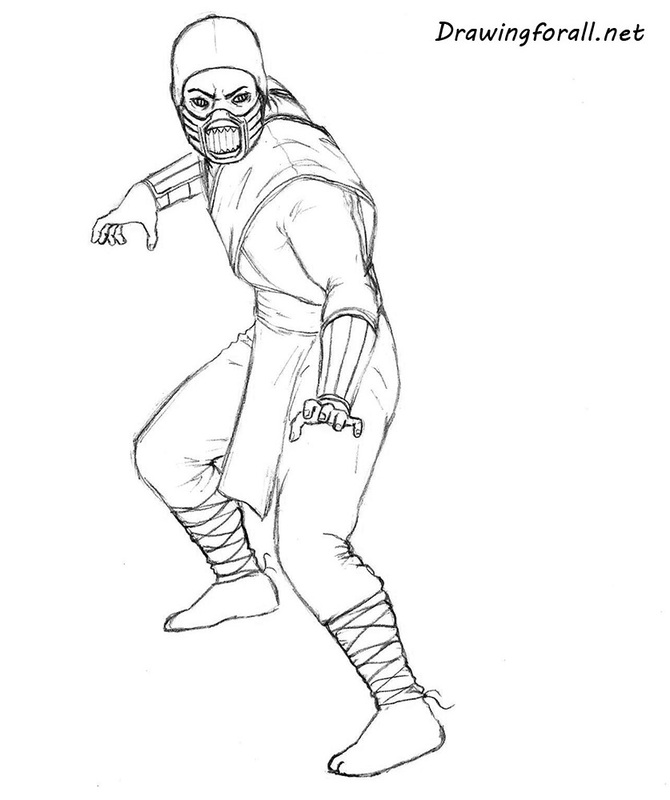 Today, we continue to draw characters of Mortal Kombat. 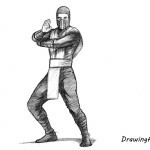 And a character of today’s drawing tutorial is a mysterious and dangerous warrior who was present at the very beginning of Mortal Kombat history. In many games, he has a human figure, but skin and facial features of lizard. I think all have guessed that today’s lesson will focus on how to draw Reptile. 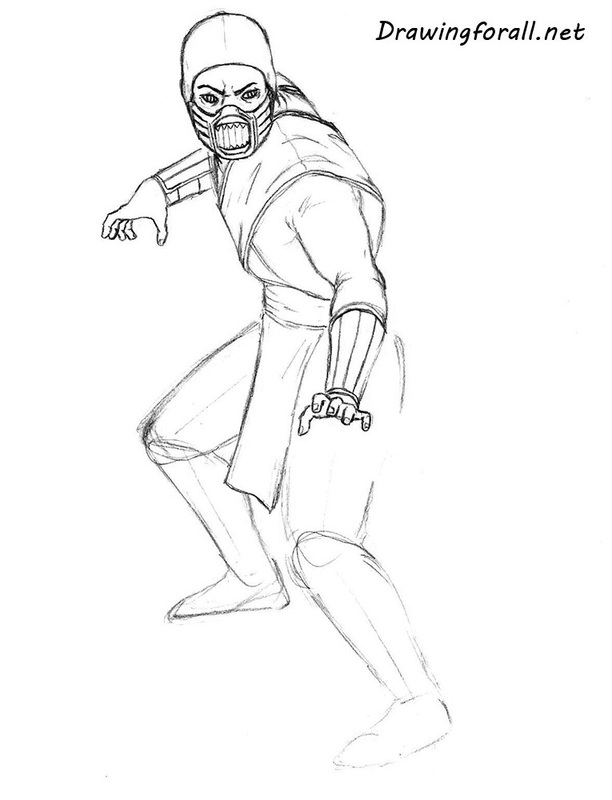 Reptile will look like according to his appearance in the beloved of our edition “Mortal Kombat” movie. 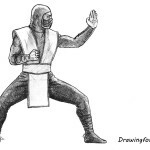 Note that as in the case with other major ninjas – Scorpion and Sub-Zero, Reptile looks different in different games, films and television series of the franchise. 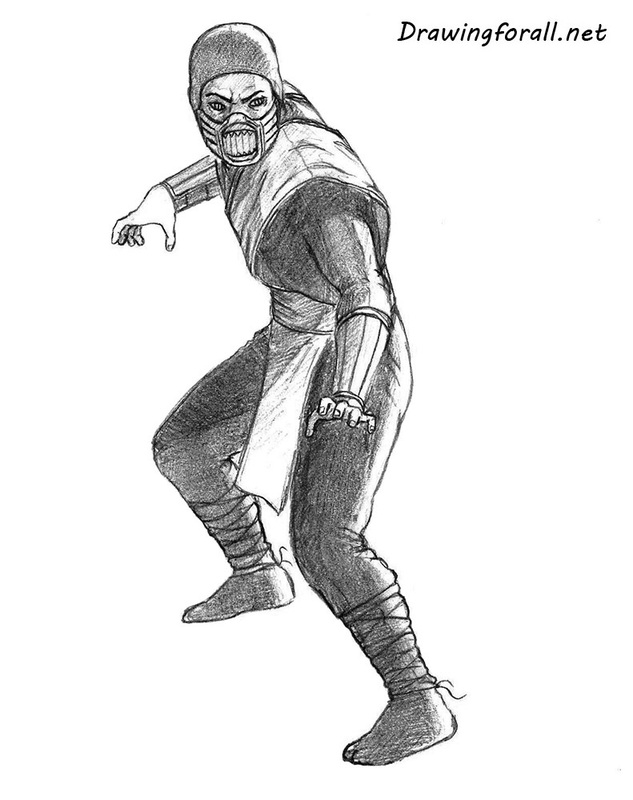 In some games, such as Mortal Kombat 3: Ultimate, Reptile is a man in a green ninja suit. In later games, the human form is lost, and our hero becomes look like a creepy and scary human-reptile. So, let’s start the tutorial and learn how to draw Reptile. 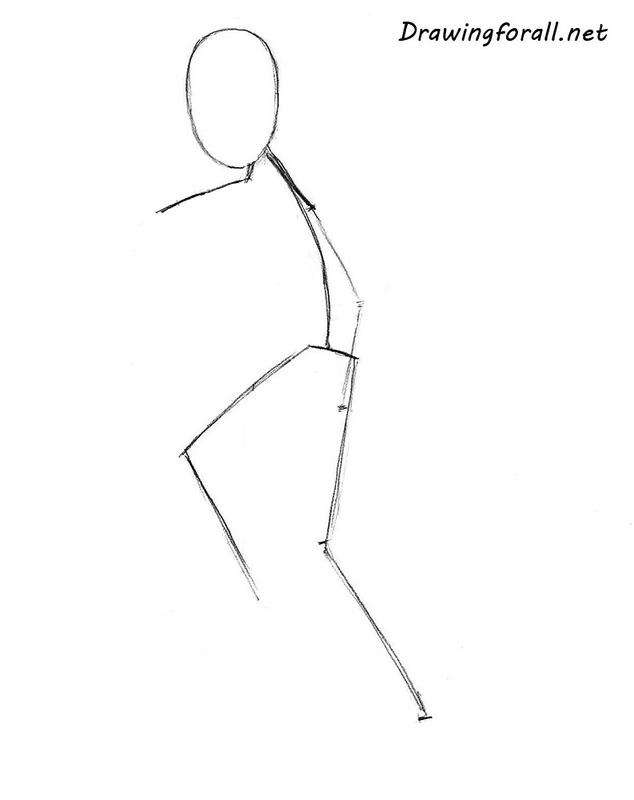 Let’s start with a stickman – a man made of sticks and circles, which we draw in order to convey the basic proportions of the character, his posture and position on the sheet of paper. First draw an oval as a guide for the head. 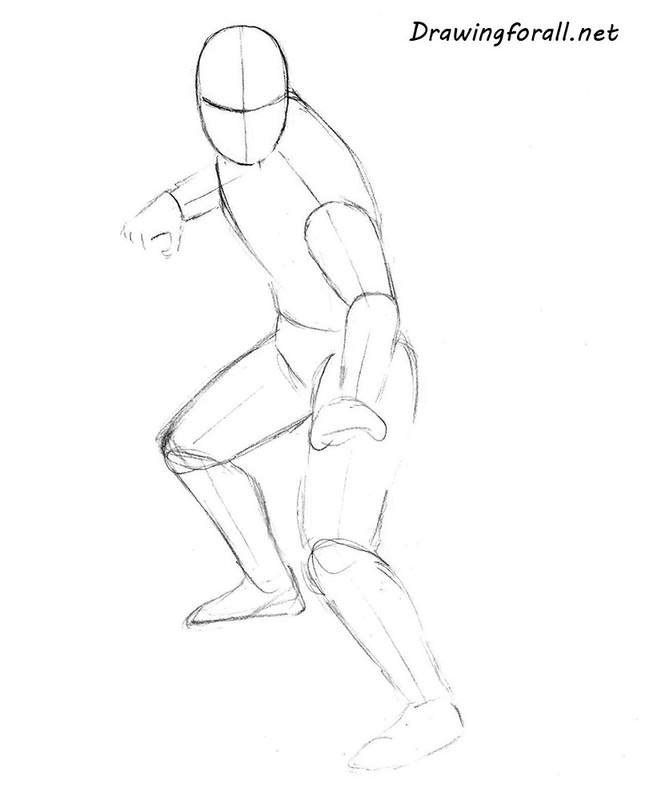 Then using lines sketch out torso, hands and legs. Note, that in the first steps you should not press down too hard on a pencil. 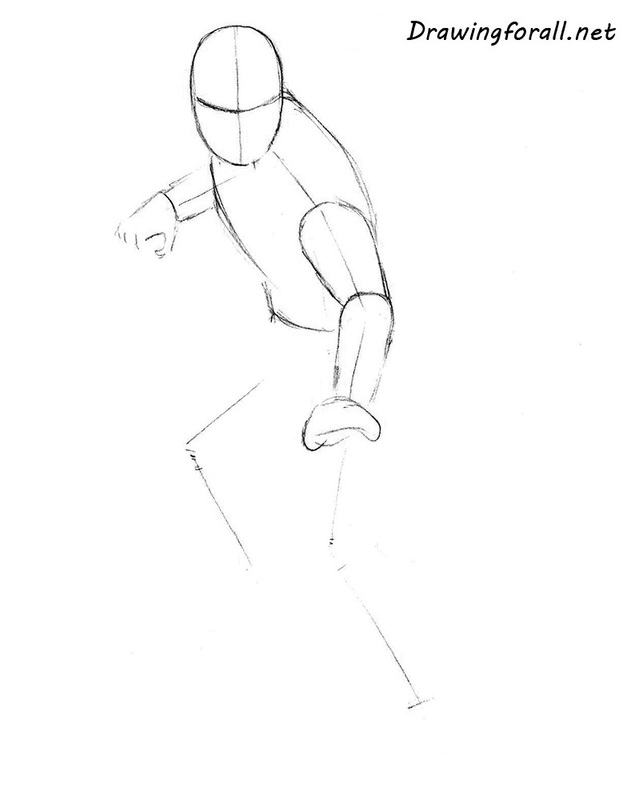 Use light and smooth lines at these steps. At this step in tutorial about how to draw Reptile step by step we sketch out the lines of the facial symmetry. First draw vertical line, which divides the face into two parts and helps us to find the centre of the face. Then draw the vertical line, which will helps us to draw eyes. Start to add volume to the body of Reptile. First sketch out the outlines of the torso. 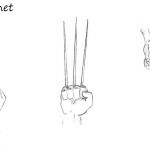 Then using cylinders sketch out hands. Now add volume to the lower part of Reptile’s body. Sketch out the legs using cylinders. 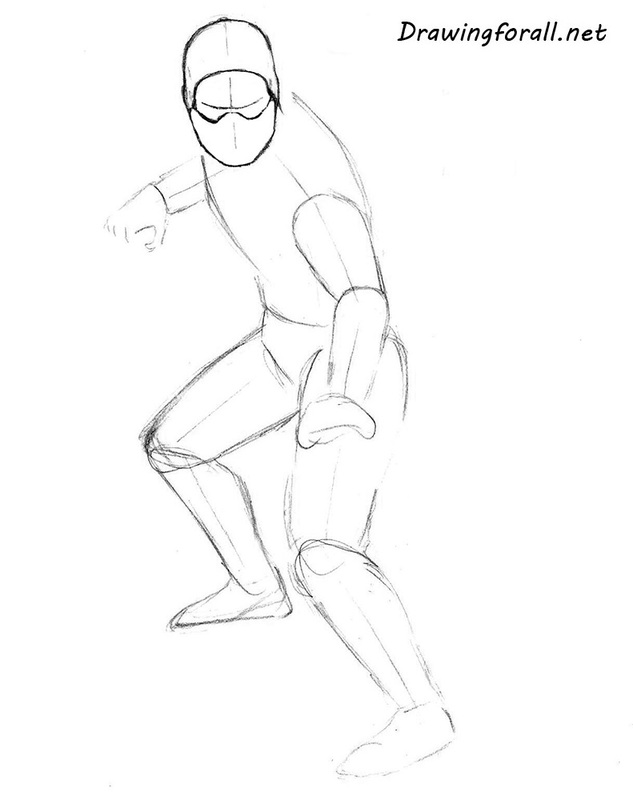 Using circles sketch out knees. Draw feet. The basic shapes are ready. From the next step we will start to add details. And we continue to draw Reptile. At this step we draw Reptile’s mask. At first, using a curved line draw the opening of the mask. Then, slightly below eye line draw facial part of the mask in the form of letter “W”. On the sides of the head outline the shapes of the ears under the mask. At this step we draw Reptile’s face. At first, using the guidelines from the second step draw eyes. Draw irises and pupils inside the eyes. Using curved lines draw the eyebrows. 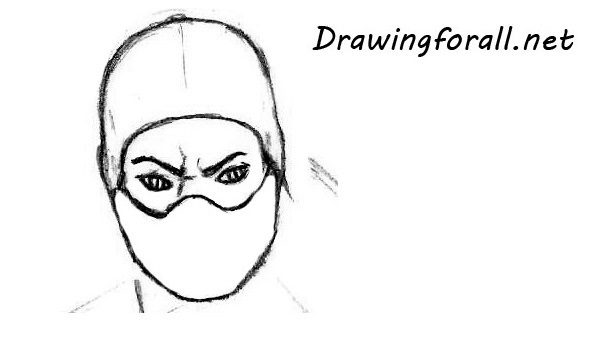 Draw the nasal bridge. In order to convey the aggressive look, add wrinkles in the area of the bridge. At this step we will draw the mask of Reptile. But at first add some more wrinkles around the eyes. Then draw the lines on sides of the mask – four on each side. 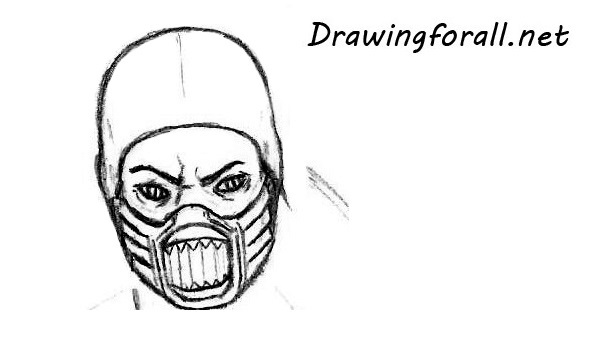 In the center of the mask draw the area which should be similar to the mouth with sharp teeth. At this step we will draw the torso of Reptile. Using curved lines draw the stripes of the vest. Just below the vest draw the belt. Add seams to the vest and belt as in our example. Using short and curved strokes add folds of fabric. 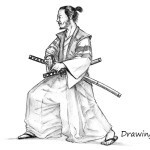 By the way, an item of clothing, which we conventionally call “vest” is actually called “kataginu” – is part of the Japanese samurai costume. At this step we draw hands. Erase the guidelines from the first steps and slightly correct the forms of the hands. You should correctly convey the forms of the hands. In the inner part of the arm we see the biceps, in the outer part we see the triceps, below we see forearm, which narrows toward the palm. 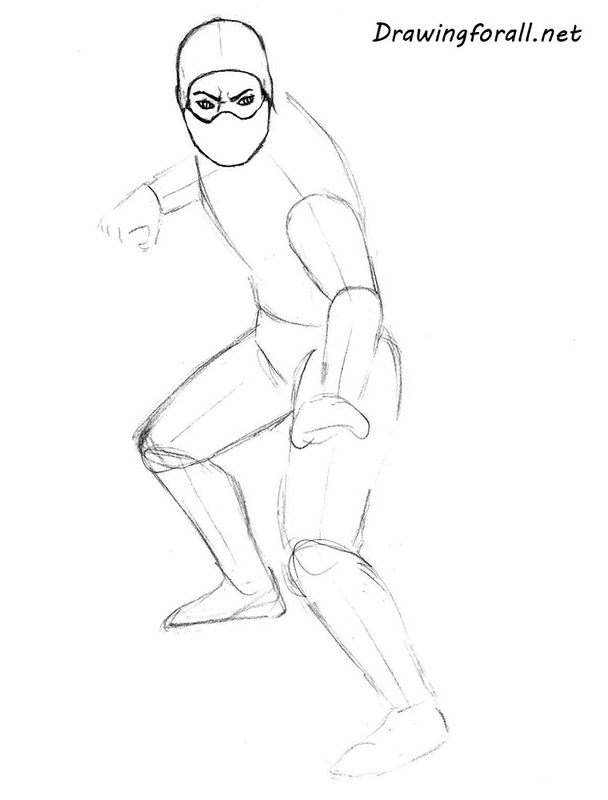 Then add some folds to the arms and draw the forearm protectors. Then add some folds to the arms and draw the forearm protectors. Draw fingers. At this step in tutorial about how to draw Reptile we draw legs. Correct the form of the legs as in our example. Notice, that his left leg seems a little bigger than the right leg, because of the fact that it is closer to us. Erase the guidelines. Draw dressings on the shins. Add some folds. In the final step of tutorial about how to draw Reptile we will add shadows. The light comes from the back of Reptile, so we need to add more shadows to the front part of the ninja. At first, using hatching darken the black parts of the suit. At first, using hatching darken the black parts of the suit leaving a streak of light on the right side. 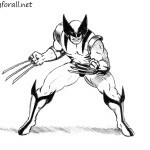 Then add more dark hatching to the left side of drawing. It was tutorial about how to draw Reptile step by step. We hope this tutorial was interesting and informative for you. 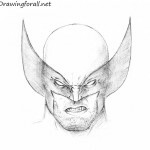 If you like such complex lessons, visit our drawing tutorial about how to draw Wolverine. Goodbye!